One of the festival circuit’s best kept secrets, Alresford Music Festival is known as one of the most chilled, creative and family-friendly festivals of the summer. This year it’s celebrating its tenth anniversary with a new arena layout and some fabulous surprises planned. With a fantastic line-up of musicians, the festival village and huge family area has loads of free activities plus a wide choice of tasty local and international food, a fine ale bar, wine and cocktail bar and a traditional cider bar. And don’t miss the Friday Festival Fringe on 7 June, with music around the town in four different venues. 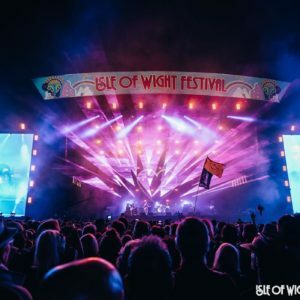 The Isle of Wight Festival is set to return for another year with some of the best acts in the world. Noel Gallagher’s High Flying Birds, George Ezra and Biffy Clyro will take to the Main Stage, alongside special guest Fatboy Slim plus Anne- Marie, Courteeners, DMA’s, Freya Ridings, Gerry Cinnamon, IDLES, Jax Jones, Jess Glynne, Lily Allen, Madness, Miles Kane, Richard Ashcroft, Rick Astley, Sigrid, The Coral and more. This iconic festival is one of the biggest and the best in the UK. With a festival site that’s second to none, a line-up that takes some beating and lots of camping options, this year’s festival is not one to miss! Kiefer Sutherland heads a star-studded bill at this year’s Wickham Festival. The Hollywood A-lister joins a host of top acts across the weekend including Frank Turner and The Sleeping Souls, Judy Collins, Graham Nash, The Proclaimers, Level 42, Gilbert O’Sullivan, Ralph McTell, Lindisfarne plus many more! This four-day music and arts festival is held in a stunningly beautiful rural location near the historic village of Wickham. With live music on four stages as well as lots of other entertainment, Wickham is rated by many as one of the safest, most relaxed and family-friendly festivals in the UK. mix of all genres from reggae to punk, techno to folk, and so much more! This year’s performers include Ms Lauryn Hill, Prophets of Rage, The Streets, Groove Armada and Slaves. Jack Up is a fun-filled, family-friendly throwback music festival and the whole weekend is focused on great music from the 80s and 90s. This year welcomes Haircut 100’s Nick Heyward, Heaven 17, Strangler’s frontman Hugh Cornwell, Aswad, Doctor & The Medics, East 17, 911, Republica and Space amongst others. So if you’re tempted by the idea of rolling back the years to dance the weekend away in the sunshine, this affordable, feel-good event is the one for you! Save 20% on ferry fares to the Island for the festival weekend when booking your event tickets directly through the official website.